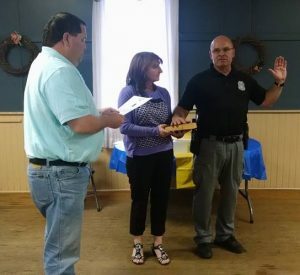 The Town of Blades Police Department has set forth an aggressive agenda for increasing the quality of protection and community service we provide to our residents, guests and business owners. As always, we seek to improve upon our track record of quality and integrity to ensure that the public receives the highest value for their investment in our police officers and our organization. Many of our activities and achievements would not be possible without the support and hard work of the entire Blades Team. The officers of our police department and volunteers from the community consistently provide dedicated and professional services, and exhibit the highest standards of excellence expected by the citizens of Blades. We are continually working to build a strong foundation for a community that we can all be proud to be a part of, now and in the years ahead. Blades National Night Out is always held on the first Tuesday in August!